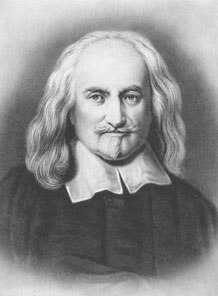 Thomas Hobbes (1588 – 1679 AD) is renowned in Western history as being the father of modern Western Political Philosophy. His seminal book ‘Leviathan’ established the foundational ideas and concepts for what would later be called Secularism and Liberalism. Hobbes argues that the purpose of government is exclusively material, namely, the prevention of in-fighting and disorder between people. Government was required because, according to Hobbes, ‘the time that men live without a common power to keep them all in awe, they are in that condition which is called war, and such a war as is of every man against every man’ (‘Leviathan’). In Hobbes’ time, Christianity was heavily dominant in politics, with wars between kingdoms fought over different interpretations of Christianity – mainly on the question of whether or not the Catholic Church and Pope should have spiritual authority over Christians, and Christian kings. Hobbes sought to find a solution to this by creating a philosophy derived from what he thought was universal observations of human nature, to establish politics upon a non-religious, material basis. 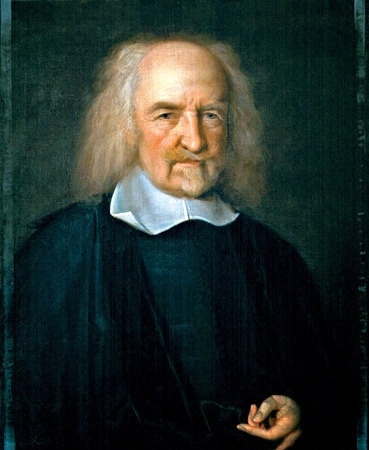 Thomas Hobbes, argued pragmatically that fallible priests can bring a bad reputation to religion, and basing a state on religion (or priests) would cause instability. People, he argued, would over time become disillusioned with Catholicism due to instances of corruption amongst priests, as well people falling into differences of interpretation, heresies and splinter factions. Hobbes argued that religion changes over time, but the state always stays the same, and so for the interest of maintaining the stability of the state, government should not be founded or justified by religion. Hobbes argued that since religion causes controversies in society, the state should be founded on civil authority justified only by the material purpose of preventing fighting between people and disorder (this is called the ‘Argument from controversy’). Therefore Hobbes basis is: if a ruler has power, he has authority and the right to obedience from his subjects, whether he is religious, Christian or not. To effect his goal of giving Christians a purely material basis for obedience to government, Hobbes invoked the Bible claiming that only the Jews could have a ‘Kingdom of God’ ruled by religion. But since the advent of Jesus, and his ascension to heaven, Christians were to wait for Jesus to return to establish a ‘Kingdom of God’ with him being the ruler of all Christians. In the meantime, before Jesus’ re-appearance, Hobbes argued that Christianity was merely ‘good counsel’ (advice), and should only be limited to persuading people to do good and be saved, not governing them (this is called ‘the Kingdom of God argument’). For the final main argument for Secularism, Hobbes invoked the fact that early Christians were commanded by Paul (who was not a companion of Jesus! ‘Eesa alaihissalaam) to obey their leaders and kings – who at the time of early Christianity would have been the non-Christian Pagan Roman kings (this is called the ‘Give unto Caesar argument’). Hobbes was clearly a product of his time, and unfortunately based his conclusions on generalising the particular circumstances of his time e.g. English Civil War etc. He argued for the absolute authority of the ruler to enforce, by use of iron fist if necessary, people to live peacefully with each other. Unfortunately, this does not take account of all factors which cause conflict. Hobbes’ argument that religion changes, but the state does not, is not accurate. The state changes too, rulers change, culture changes, power and fortune changes, and people may split off into differing political factions and fight each other in civil wars for purely non-religious motives. Unfortunately, since Hobbes was surrounded by religious wars, this really affected his thinking. Kind of like if a man has a bad experience in a relationship, he might be foolish to think that all women are bad. This meant that the Ummah (Muslim community) always looked towards scholars who were not in the pay of the government, as being the most trusted ones to protect the intellectual continuation of Islam. Scholars who were in the pay of government were never trusted as much as independents. In conclusion, because Islam does not consider Caliphs, Islamic scholars as infallible, or intercessors between man and God, no one can harm the idea of Islam, but people can only harm their own reputation by failing to live up to Islamic ideals. Thus, Islam demonstrates that Hobbes contentions are not universally true, which therefore render void his conclusions about religion in general. Islam aims to create an environment that appeals to the higher nature in man, and does not leave society free to appeal, encourage and reward man’s lesser natures – i.e. hypocrisy. Islam actively aims to remove public corruption, not by focusing only on hypocrites, but by helping the majority of people who are not hypocrites, who desire to be good, but fail due to human weakness, and inadvertently affecting others. What Hobbes misunderstood in his observations, is that revelation came not to guide hypocrites, but help good and sincere people. Therefore, it does not compel hypocrites to become sincere, nor does it force non-Muslims to become Muslim, instead Islam creates an environment conducive to, and encouraging of virtue, while preventing hypocrites corrupting others in the society [i.e. the public sphere]. Hobbes argues that Jesus did not intend to rule the world during his lifetime, nor urge Christians to do the same. Christians, according to Hobbes, are to wait for the return of Jesus where he will establish his direct rule of the world. In the meantime Christians are merely meant to convert people to the faith and increase their numbers, and preach to fellow Christians, to become righteous. For this reason, Hobbes argued, Christianity does not have a right to rule, or obligation to attain government. Furthermore, Hobbes’ argument that the Kingdom of God is only for when Jesus returns, cannot apply to Islam (or Judaism of which does not consider the right to rule of the laws of Moses (Musa alaihissalaam), abrogated), since the Islamic concept of Caliphate (Arabic: Khilafah, lit. Vice-regency or Successorship) is a Kingdom of God, where God holds the position of king over the believers, and through his expressed Will (contained in the Qur’an and hadith), Muslims enact the laws and directly govern on his behalf as his vicegerents (khulafah). The nature of Islam, Judaism and Catholic Christianity, runs contrary to premises of Hobbes’ arguments, which were based upon his protestant (anti-catholic) opinions. As such, Islam, Judaism and Catholicism (in its original form) believe in a continuing and present need for a kingdom of God, and do not take away God’s sovereign right to govern government, society and individuals for the betterment of man in this life and the next. Christians have argued that ‘give unto Caesar…’ is merely a clever answer by Jesus to speak the truth while avoiding the Roman occupation force from arresting him for rebellion. Either way, it is not an argument for Secularism – for the Jews at the time of Jesus lived under the revealed Law of Moses. The Romans permitted this, because they were just interested in taxes, not spreading or imposing roman beliefs. And Rome wasn’t a secular state either – their pagan religion was part of their culture and informed their laws. Hobbes argues that because Paul commanded Christians in the Christian New Testament to obey their rulers (who were pagan roman emperors), this means that Christianity does not have a special right to govern. Hobbes used this conclusion to argue that all Christians must obey the ruler, no matter what his doctrines, or what law he commands them with. 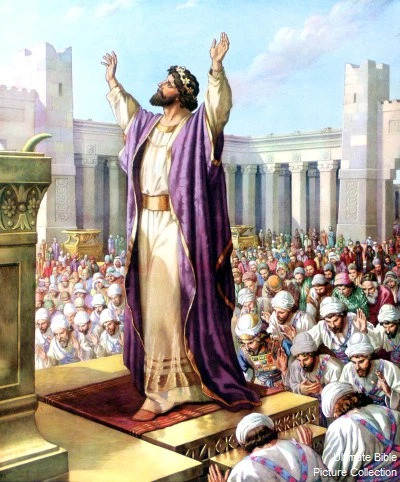 obligation to rule with the laws, values and principles found in the Bible. This is because, according to the New Testament, everything a Christian does must be for God, and based upon divine guidance. Therefore Hobbes is incorrect to argue that Christianity has no right to government according to Christian teaching. 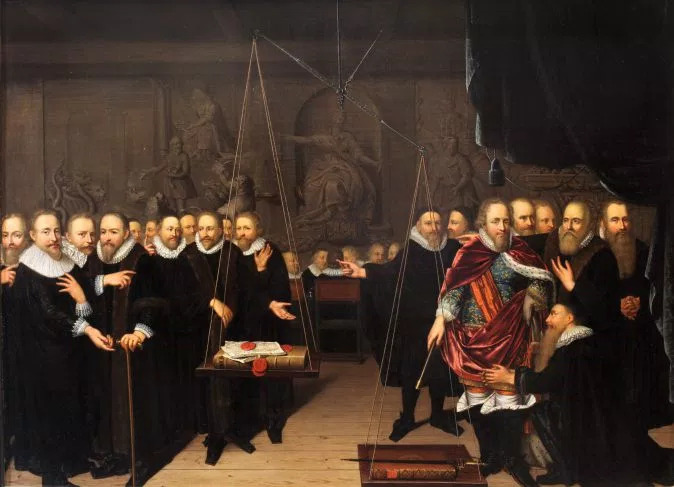 The problem was that for Hobbes’ secularism to work, religious people had to agree with Hobbes’ new role for religion, that the government derives its authority only from ruling, not implementing divine law. But what if a sizeable population believed that God’s law should continue to be active in government? What if people disagreed with Hobbes’ arguments? How could they be ruled by a materialistic-based political authority who may not find divine law in their interest? Hobbes’ was concerned that religions which may object to the rules and values of materialistic-based government, may disobey rules they deem unjust, which in Hobbes’ viewed, constituted a ‘threat’ to the state. He proposed that rulers are in effect the ultimate spiritual authority for all their citizens, since the citizens must accept the values of the ruler or ruling system – and it is the ruler, according to Hobbes, who authorises which beliefs and which doctrines are acceptable, and which are not  . 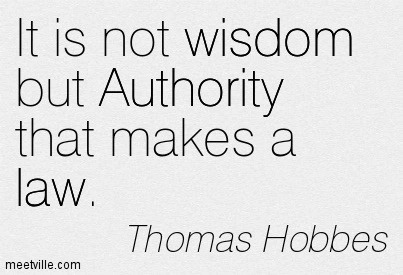 The irony (again) of this is, while Hobbes’ advocates government to be detached from religious authority, he then re-attaches it again, but in the other direction, with religious given to government authority! Hobbes’ insistence on the ruler controlling doctrines and beliefs, led to the problem that this would mean many religious believers would be forced to profess in public doctrines and beliefs they do not believe in or do things that go against what they believe in, or force them to hide their beliefs and keep them secret. To this Hobbes’ posited that there is no problem with that, as the ruler can’t force people to change the ideas in their heads – and doesn’t have to, as long as they keep those ideas only in their heads  . This ends up with the ironic position where Hobbes’ forces (sincere) people to become hypocrites! The very thing he argued that his solution (Secularism) would eliminate! As can be seen from history of Secularism since Hobbes, many religious communities and minorities have had to hide their beliefs in secret, or express their interests hiding the true reasons for them. People reading Hobbes may wonder if an alternative exists to controlling people’s doctrines and beliefs. The answer is that there have existed alternatives for thousands of years. In the Islamic Caliphate, the Islamic system granted autonomy to non-Muslims, and permitted non-Muslims to live under their own law systems, and be free from having any duty to obedience to the Caliph (whose authority is only over Muslims). The only requirement from non-Muslims was abstaining from violence against Muslims, and for males to pay a tax to fund the border-military for their protection (which could be waived if they volunteered as a reservists). The Islamic Caliphate is not a spiritual authority for Muslims, but rather more of an obliged institution for the implementation of Islamic law. It cannot enforce opinions or doctrines beyond the commonly-agreed minimum required to be a Muslim (e.g. belief in God, Qur’an and in Muhammed (sallallaahu alaihi wasallam as the final Prophet of God). As such, the Caliphate were not allowed by Islam to interfere with or oppress heretical sects merely for their beliefs – it was left up to Islamic scholars to refute heresies amongst themselves by force of argument. The problem that the Catholic Church faced was that there were no explicit texts in Christian scripture granting the Church political authority over Christians. This caused power struggles when it was challenged by the Protestants (and some irritated Catholic kings), as Christians could legitimately deny the Catholic Church’s political authority, without need to reject any explicit texts of scripture. 1. Hobbes’ argument assumes a purely material purpose for the state, i.e. material security, and neglects its other purposes. Whereas virtually all religions and Eastern and Greek philosophers argued that the purposes of government were also the protection and encouragement of virtue. Historically, most religions and ancient philosophies do not coerce non-believers to embrace their beliefs. However, amongst a community of fellow believers, religion did successfully create a legal, social and political environment conducive to the attainment of its goals. 6. 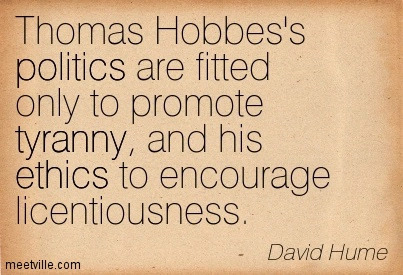 Hobbes’ makes sincere people into hypocrites and hypocrisy open to influence the people. As mentioned, a state with a religious community that holds beliefs and doctrines which are deemed to challenge the values or authority of the secular state (even if the religious community are non-violent), have to hide their beliefs for fear of persecution, or seek their interests pretending it is for some other reason than their religious morality. All the while those who are not hindered by the same morality, or are moved only to pursue self-centred may freely display their activities and beliefs – as long as they accept the ruler’s rule over them (which they would happily do). This flaw in Hobbes’ thought, actually refutes on the very reasons he put forward for a Secular state – namely the elimination of hypocrisy! who are all famous for their advocacy of tolerance, would only permit toleration of protestant sects, but would outright declare the necessity the intolerance towards Catholics, or some discrimination against them. It should be noted that the Prophet (sallallaahu alaihi wasallam) requested that Muslims give a pledge of allegiance, not belief in the Caliph, or that the Caliph is infallible. Do you know which is the only Aayah in the Qur’an that was revealed inside Ka’abah, that is Masjid al Haraam, the Sacred Mosque or Baitullah, the House of Allah?? Today let us learn about this Aayah, understand the amazing reason for which it was revealed, and also appreciate the miracle that exists to this day!! In pre-Islamic times (that is, before Allah conferred Nubuw’wah, Prophethood, on Prophet Muhammad (sallallaahu alaihi wasallam), the Arabs used to regard the sanctity of Ka’abah but in their own way. During the days of Hajj, the services of providing water to the pilgrims was entrusted to Abbas (radhiyallahu anhu), the uncle of the Prophet (sallallaahu alaihi wasallam). 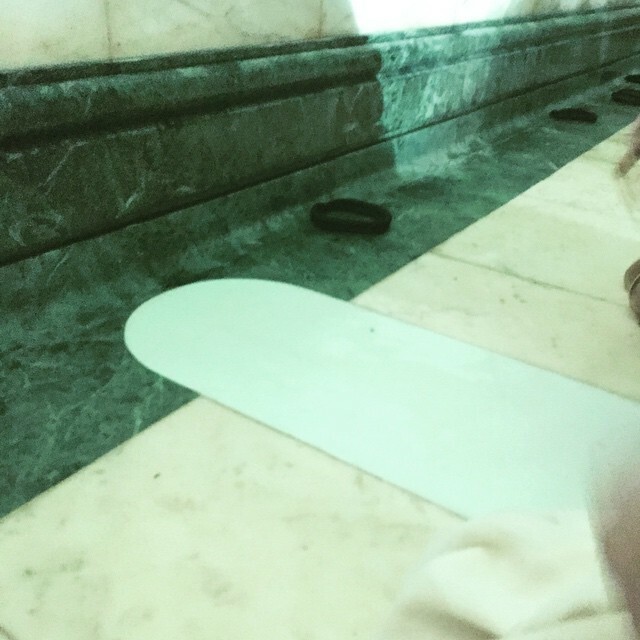 “According to a personal statement of ‘Uthman ibn Talhah, the Ka’abah was opened every Monday and Thursday during the period of Jahilliyah and people would use the occasion to have the honour of entering the sacred House. He (sallallaahu alaihi wasallam) said: ‘No, the Quraysh will then be all established and very honourable indeed.’ Saying this, he went into the Baytullah. Obviously, this verse was revealed to him inside the Ka’abah exactly at that time. Obeying the Divine command in the verse, Prophet Muhammad (sallallaahu alaihi wasallam) called ‘Uthman ibn Talhah again and made him the trustee of the key. This was the background in which this verse was revealed. At this point let us bear in mind an important rule on which there is consensus. The rule is that even if a Qur’anic verse is revealed in a particular background, the rule laid down by it in general terms must be taken as of universal application and must not be restricted to that particular event. The key of the door of Ka’abah is still in the possession of the family of the original Key-Bearer, Uthman ibn Talhah (radhiyallahu anhu). Even the king of Saudi Arabia needs permission from this blessed family to have the key to enter Ka’abah. Subhanallah! Another point we learn from this aayah is that apart from commanding us to fulfill our trusts, we are also instructed to judge between people with justice. The ayah concludes by reminding us that Allah Hears all that we say and Sees all of our actions, and that nothing is hidden is from Him. May Peace, Mercy and Blessings of Allah be upon Prophet Muhammad (sallallaahu alaihi wasallam), his family and companions. A salient feature of the innovators of this age is to hurl charges of “Wahhabism” against the great scholar, muhaddith, sufi, reformer and mujahid, ‘Allamah Shah Muhammad Isma’il Shaheed Dehlwi (rahmatullah alayh). It is interesting to note that when in 1821 Shah Isma’il Shaheed and Sayyid Ahmad Shaheed (rahimahumullah) left for Hajj along with 757 of their followers, the Holy Lands were under Ottoman rule and the followers of Shaykh Muhammad ibn ‘Abd al-Wahhab had already been driven out. They had managed to control the Holy Lands for only a short amount of time. It would be contrary to logic and analogy to argue that Shah Isma’il Shaheed and Sayyid Ahmad Shaheed (rahimahumullah) were influenced by a movement whose influence did not prevail in the Hijaz and the Holy Lands. Rather, the followers of Shaykh Muhammad ibn ‘Abd al-Wahhab were vilified and defeated. It is unlikely therefore that in such an atmosphere the two respected shaykhs were influenced by an ideology which not only lacked influence in the region but was at the same time ostracized and demonized. To show the fallacy of this claim, it would be beneficial to list those issues over which there is difference between Shah Muhammad Isma’il Shaheed and what the followers of Shaykh Muhammad ibn ‘Abd al-Wahhab generally believe. It will become clear to the readers that these charges of Wahhabism have no basis. In Taqwiyat al-Iman, Shah Isma’il Shaheed (rahimahullah) strongly condemned practices prevalent amongst the laymen where they would seek help from the saints by uttering statements such as “O Shaykh ‘Abd al-Qadir Jaylani! Give me something for the sake of Allah” – this is istighathah and completely impermissible. Regarding such a practice he writes, “one should refrain from such statements which reek of shirk and are disrespectful towards Allah Most High” (Taqwiyat al-Iman, p.123). However, regarding tawassul Shah Isma’il Shaheed (rahimahullah) states: “But if it is said, ‘O Allah, give me for the sake [i.e., for the sake of his close relationship to You and his virtuous deeds] of Shaykh ‘Abd al-Qadir’, then this is allowed” (Taqwiyat al-Iman, p.123). He has also discussed the permissibility of tawassul in his book, Mansab Imamat. Shaykh Muhammad ibn ‘Abd al-Wahhab and most of his followers are, however, against this type of tawassul through the pious servants of Allah. Shah Isma’il Shaheed (rahimahullah) was bay’ah in the Naqshbandi tariqah whereas many followers of Shaykh Muhammad ibn ‘Abd al-Wahhab are against tariqah-based tasawwuf. He gave bay’ah to Sayyid Ahmad Shaheed (rahimahullah) at the advice of his uncle Imam Shah ‘Abd al-’Aziz Dehlwi (rahimahullah). An unsubstantiated claim, by the likes of Maulvi Fadl Rasul Badayuni, is that Taqwiyat al-Iman is a commentary of Shaykh Muhammad ibn ‘Abd al-Wahhab’s Kitab al-Tawhid. Maulana Muhammad Manzur Nu’mani (rahimahullah) mentions that only a person who has not read Kitab al-Tawhid can make such a bold and baseless claim. He adds that Taqwiyat al-Iman was written for the laymen of the subcontinent in a very simple and easy language but with Faruqi grandeur; whereas the readership of Kitab al-Tawhid were those scholarly men from Najd, Hijaz, the Levant, Iraq, etc. whose minds were not clear regarding tawhid and shirk or they were supporters of some polytheistic or seemingly polytheistic practices. Kitab al-Tawhid is an academic work unlike Taqwiyat al-Iman, which is aimed at laymen. The approach of Taqwiyat al-Iman is to list some verses of the Qur’an, few hadiths from Mishkat al-Masabih with an easy translation and a brief commentary. On the other hand, the commentary of the Qur’anic verses and hadiths in Kitab al-Tawhid is academic and much more detailed. Maulana Nu’mani mentions that keeping this in mind, a commentary of Kitab al-Tawhid in the language of Taqwiyat al-Iman would have exceeded more than 10 volumes ( Shaykh Muhammad ibn ‘Abd al-Wahhab aur Hindustan kay ‘Ulama Haq, p.65-68). While some, like Maulwi Ahmad Rida Khan, have claimed even more preposterously that Taqwiyat al-Iman is a translation of Kitab al-Tawhid! Any serious scholar can easily glean from reading the above two books that Molwi Ahmad Rida Khan had only heard the name of Kitab al-Tawhid but had not read it. Al-‘Abaqat (Diffusions of Perfume), by Shah Isma’il Shaheed (rahimahullah), is one of the most comprehensive works on tasawwuf. ‘Allamah Shabbir Ahmad ‘Uthmani writes, “We have not found an elaboration of the laws of tajalli (divine manifestation – in Sufi terminology) and a realization of its essence in a manner the heart finds rest and by which the chest expands, in spite of an extreme search and intense investigation in the books of the Folk (i.e. Sufis), except what the magnificent ‘Allamah, the noble Gnostic, the incomparable [scholar] of his time and amongst his contemporaries, my master and my support, Muhammad Isma’il al-Shahid al-Dahlawi (Allah sanctify his soul) verified in his book Al-’Abaqat… an extremely rare book that has no equal.” (Fath al-Mulhim, 2:315) In this work, Shah Isma’il Shaheed (rahimahullah) discusses at length one of the most burning issues of tasawwuf, namely Wahdat al-Wujud and Wahdat al-Shuhud. In this book Shah Isma’il Shaheed (rahimahullah) has reconciled the two views, and has shown that the difference is one of perception, arising from the difference in spiritual stations (maqamat). He has also differentiated between those Wujudiyyah Sufis who are orthodox Sunnis and those false Wujudiyyah who say, “there is actually nothing except this sensible universe characterized by existence”. He refers to them as “infidels, mischievous, heretics and the dirt of all the atheists”. Shah Isma’il Shaheed (rahomahullah) refers to Muhyi al-Din ibn al-’Arabi (rahimahullah) as Shaykh al-Akbar and exonerates him from the view that he believed in the real unity between the Creator and the created. He writes in Al-’Abaqat, “They are the chiefs of the sufis and the leaders of the saints. At first sight, some utterances of the followers of the Shaykh seem to bear resemblance to the utterances of those who believe in the real unity (between the Creator and the created, ‘ainiyyah), but when all their utterances are examined thoroughly such resemblance vanishes.” On the other hand, followers of Muhammad ibn ‘Abd al-Wahhab did not have a good opinion of the Shaykh al-Akbar and go as far as declaring him a heretic. Certain vile persons accuse Shah Isma’il Shaheed (rahimahullah) of anthropomorphism (tajsim) in the same way they accuse the followers of Shaykh Muhammad ibn ‘Abd al-Wahhab. This is indeed a great slander against the Shaykh who was martyred in the path of Allah. He states about Allah Most High, “By the perfection of His attributes, He is Independent of the praise of the praisers, and by the dignity of His essence (dhat), is above the description of the describers. The deep thoughts are burnt by the majesty of His Essence and the hard speculations are vanished under the dominion of His eminence. None is His partner in the attribute of Being and nothing is His co-sharer in the state of establishment (thubut). He writes in another place, “It has also been proven that the Necessary in relation to the possibilities cannot be characterized by attributes, such as, direction, the nearness and farness of place, conjunction and disjunction. It is also confirmed that there is no distance whatsoever finite or infinite between the Necessary and the possible” (Al-’Abaqat, p.43). He writes further, “By this tajalli (manifestation), it is proven, for the Divinity that it (Divinity) exists in the external, is neither confined to any direction (jihah) nor to any place. He is neither connected with anything nor is separate from it. He transcends the change in attributes, such as, the new knowledge and the will” (Al-’Abaqat, p.152). In other words, He is free from change in His attributes, because change occurs in relation to time and He is free of time. Shah Isma’il Shaheed (rahimahullah) referred to the Ash’aris and Maturidis as the people of truth. He writes, “It is also worth remembering that the learned in every science became divided and differed among themselves. That happened in two ways. One way was that the difference took place between the adherents of falsehood and the followers of truth. This difference is similar to the one found between the jurists of the Shi’ah and those of the Sunnis. Or it is like the difference seen between the Mu’tazilah and the Ash’aris. Or it is like the one observed between the atheists, who have identified Allah with [as] the Universe (Wujudiyyah Malahidah), and those wise ones [i.e., people of truth] who believe that Allah transcends the universe and the being (wujud) which is common to all existing things, [and that created beings are] simply a shadow of the real being (Wujudiyyah ‘Ufara’). Shah Isma’il Shaheed (rahimahullah) acknowledged different categories of the pious and the saints. He writes regarding these virtuous men, “But you all are, however, well aware that all the believers know for certain, that there are some persons who are named as the faithful witnesses of the truth (siddiqiyun) and the substitutes (abdal) in spite of the fact that, the Lawgiver has not formed any rule for the acquisition of the ranks of such persons, and has not invited the people to acquire them nor had held out any promise to the effect that by doing this action of by observing that litany, that rank will be achieved. It is believable that there are some other forms of perfection, the existence of which is supported by the mystical unveilings of the learned. Thus, to acknowledge them is a virtue and a sign of beauty…” (Al-’Abaqat, p.275) He has also discussed the existence of abdal, awtad, aqtab, nujaba‘ and ruqaba‘ in Mansab Imamat. Lastly, it would be beneficial to quote the statement of Imam Sayyid Anwar Shah Kashmiri (rahimahullah) regarding the lofty status of Shah Isma’il Shaheed and his works. It should be obvious that the main cause behind these allegations of Wahhabism was Shah Isma’il Shaheed’s (rahimahullah) efforts to stamp out polytheistic practices and other innovations that had become widespread among the Muslim community. The innovators of the age described them as Wahhabis to tarnish their image among the Muslim community and halt the reformative work they were carrying out. During their two year stay in Hijaz, many scholars were granted khilafah by Sayyid Ahmad Shaheed (rahimahullah). Some of them include, (1) Shaykh Muhammad ‘Umar – ustadh of Shaykh ‘Abdullah Siraj, (2) Shaykh Sayyid ‘Aqil, (3) Shaykh Sayyid Hamza, (4) Shaykh Mustafa al-Hanafi, (5) Shaykh Shams al-Din al-Misri, (6) Shaykh Muhammad ‘Ali Hindi, (7) Khawaja Almas – a great saint from Madina, and (8) Shaykh Ahmad ibn Idris of Maghrib who had memorized whole of Sahih al-Bukhari with sharh of Al-Qastallani by heart. During their stay in Makkah, Shah Isma’il (rahimahullah) would give dars of Hujjat Allah al-Balighah and Mawlana ‘Abd al-Hayy al-Lakhnawi, khalifah of Sayyid Ahmad Saheed and son in law of Shah ‘Abd al-’Aziz al-Dahlawi (rahimahumullah), would give dars of Mishkat al-Masabih. Shah Isma’il Shaheed (rahimahullah) inherited this from Imam Shah Waliullah Dehlwi (rahimahullah). The Imam’s lineage traces back to Sayyiduna ‘Umar (radhiyallahu anhu) from his father’s side and to Sayyiduna ‘Ali (radhiyallahu anhu) from his mother’s side. Sirat Mustaqim is a record of the sayings of Sayyid Ahmad Shaheed (rahimahullah), compiled by Shah Isma’il Shaheed (rahimahullah) and Mawlana ‘Abd al-Hayy (rahimahullah). The book was originally compiled in Persian and first published in 1823; it was later translated into Urdu. It was translated into Arabic by Mawlana ‘Abd al-Hayy (rahimahullah), at the request Shaykh Hassan Efindi, the deputy sultan of Egypt, during their two year stay in Makkah and widely circulated among the ‘ ulama of Hijaz. After a series of negotiations and assurances that the Christians would safeguard the agreement that was about to be signed, the Garnata Capitulations were signed in 1491, (otherwise known as The Treaty of Garnata), and in 1492 the Christian forces took over the city, and thus Islamic rule of Andalus ended after almost 780 years of continuous rule. Albeit this did not mean that 1492 marked the end of the Muslim presence in Andalus, as they remained for another hundred or more years or so. As for Abu Abdullah he ended up dying in obscurity fleeing from Andalus to Morocco. Islam flourished in Andalus, but due to our disunity and worldy desires, we lost Andalus in a mere 780 years, wherein not even a trace of it exists in modern day Spain. The rulers then were not unlike the rulers now and likewise the people of those lands not unlike us. However, the history of Andalus that we’re interested in, in this project is not the above history. Nay, it is actually what happened after the Treaty of Garnata that is of interest to us, in that it applies to many a situation of Muslims today, be it the first, (or second), generation western Muslim who are living in Dar Al Kufr , by virtue of birth or immigration due to economic reasons, (and even political asylum seekers), and of those Muslims in ‘Muslim’ countries, and their thoughts in relation to their rulers and their view of the Kuffaar. The Muslims of Andalus were assured by the Christian Kings that all treaty capitulations shall be upheld and Muslims could continue to practice as they wish, run their Shariah courts and in general have freedoms that, by today’s standards, would seem magnanimous on the part of Christian conquerors. Aljamiado (Al Ajamiyya), to communicate instead of Arabic and lie to Christians about their faith while secretly maintaining their Salat, fasting, Zakat and even Hajj during these trying times. At this juncture, it would be fitting to discuss Al Ajamiyya or Aljamiado. In our context, Aljamiado refers to writings which utilizes the Arabic script for transcribing Romance languages such as Spanish. The most common reason for its increasing popularity in the 16 century is thought to be due to the restrictions placed upon the use of Arabic from the mid 16 centuries, Muslims had to adapt to these restrictions by using Castillian. “Prose narratives (divisible into romances, short stories, and legends): Rekontamiento del rey Alisandere (Story of King Alexander), Historia de los amores de París y Viana, Libro de las batallas, Leyenda de ‘Ali ibnu abi Talib y las cuarenta doncellas (Legend of ‘Ali ibnu abi Talib and the Forty Damsels), El baño de Zarieb, and Leyenda de Yuçuf (Legend of Joseph). (Story of Solomon), Nacimiento de Iça (Birth of Jesus), Jesús resucita a Sem hijo de Noe (Jesus Resuscitates Shem, Son of Noah), and Historia del rey Jesús (Story of King Jesus). costumbres (Book of Good Doctrine, Moral Teachings, and Good Habits), and Libro de predicas y examplos y doctrinas para medecinar el alma y amar la otra vida y aborrecer este mundo (Book of Preachings, Exempla, and Doctrine to Heal the Soul, Love the Life to Come, and Abhor This World). (The Book of Fortunes), and Libro de los sueños (Book of Dreams). qadi of the Jama’a of Al Shaqoubiyah, (Segovia), in Castile, during the middle of the 15 century CE. He was one of the Ahl Al Dajn, as were the rest of the community that was with him in Castile. He was Maliki by way of his fiqh as was virtually everyone in the Maghrib and Andalus, (until the Uthmani forces took control during the 16 century CE, wherein the population of Ahnaaf/Hanafis began to increase). As is evident from his name he was a Sufi of the Shadhiliyya order which is the most prevelant in the Maghrib today and was then too, along with the Tijaniyya order. In 1462 CE, he wrote his most famous book, Breviario Sunni , (‘Introduction to the Sunnah’), which was a manual designed to aid Muslims in their daily practice of Islam. He also had the infamy of having cooperated with the Christian authorities of Segovia to translate the Quran from Arabic to Castilian. In other contexts, the word aljamiado is sometimes used for other non-Semitic language written in Arabic letters. 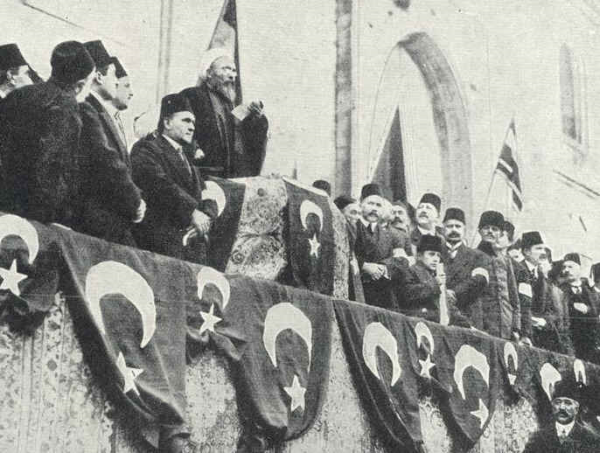 For example, some Serbo-Croatian, Bosnian and Albanian texts written in Arabic script during the Ottoman period have been referred to as aljamiado. Xiao’erjing , which is the method by which Hui Chinese Muslims use to write Mandarin Chinese in Arabic script. Formerly the Dungan descendants of these Chinese Muslims in Central Asia also used this method of writing until the Soviet Union banned it by enacting writing reforms which forced the Dungan people to replace Xiao’erjing with a Roman script and later a Cyrillic one, which they continue to use until today. However, in our discussion, we are only referring to Spanish written in Arabic script. Returning to the Muslims of Andalus, it must be clear, and it will be discussed, that Christians in their treachery had deliberately designed a method by which the Muslims in Andalus would not be able to escape to the Maghrib and would thus, by their calculations, have to accept Christianity and enlarge the number of Christian followers in the land. One hundred and fifty years later from the Treaty of Garnata, after two major insurgencies, the resilience of Muslims holding on to their faith and their refusal to become Murtad , (apostate), (even when their nobles were the first in line to apostasize and safeguard their wealth), the Spanish decided to expel all the Muslims, (by now they were called Moriscos), and admit their defeat at the hands of a few hundred thousand oppressed souls. A mention should be made of an issue that deserves our attention, and that is the question that is on the mind of most Muslims when they touch this topic, that if they converted, then how can they be Muslim (speaking of the period of 1502 where Mudajjan status had ended all over spain and everyone was forced to convert and called Morsico’s)? It is a question which scholars have tussled over and were tussling with at the time over how to rule on this question. In hindsight and availability of documents, it was seen that what was imposed on the Muslims of Andalus, (who either wanted to leave and weren’t able to due to poverty and not able to afford the transport off the peninsula or were captured before reaching the ports, and not those who deliberately desired to stay in Andalus, unless they were attempting to regroup and lead an insurgency to liberate Andalus from the Kuffaar), by its very definition was Ikrah in its textbook definition, (i.e. compulsion and coercion). So as Imam Ibn Kathir (rahimahullah) says, “It is better and preferable for the Muslim to remain steadfast in his religion, even if that leads to him being killed…” indicating a preference to be steadfast and be put to death, (as in the case of Habib bin Zayd Al Ansari), than apostasizing. However, as we see in the case of Abdullah Hudhaifa Al Shami, he says, “It is permissible for me (under these circumstances), but I did not want to give you the opportunity to gloat.” So it can be ascertained doing things such as eating pork and drinking wine are permissible under compulsion but not the preferable mode of action as the first recourse. Another view or category is the distinction between speech and actions. In terms of speech, a person might be forced and allowed to say something that is not allowable. The scholars say he should not practice taqiyah . Taqiyah means to say or do something which you do not believe in and are not satisfied with. This only applies to sayings and not actions. Regarding this issue there is an agreement among the Muslim scholars. They say that whoever is forced to say something that is not allowed in shari’ah , then he will be allowed to say it – he will not be regarded or considered as ‘saying’ it. There is another condition that the scholars set. They say that whenever a person is put into ikrah or duress, the duress should be definite and most likely to happen and not just something the person imagines or assumes. He has to be sure. Through proofs such as these Scholars who understood the situation of the Andalusis issued fatawa stating that, (if the Muslims are truly under ikrah as mentioned above), they can state that they are christian but in their heart not believe, play with words to make statements that are favorable to Christians but neither are outright shirk and kufr . These ahadith and ayaat are, if you will, part of the camp of people that did not, or could not resist the Christians or were unable to leave the land due to genuine Ikrah . In essence Ibn Kathir (rahimahullah) explains the ayah by saying that those who have the ability to make hijrah , (i.e. they were able to leave the land or able to traverse the earth without prohibition), and do not do it, and have an inability to practice their Islam, will be falling into a prohibition according to the concensus of scholars. The issue directly applies to the Muslims in Andalus after 1492, as many Muslims, (who had the ability to make hijrah ), chose to stay behind in the misguided notion that if they stayed they could reclaim Andalus from the Christians with the help of the Fatimi / Mahdi, (when clearly they neither had the force inside Andalus or in the Maghrib to help them achieve that. Furthermore, Uthmani help never came until much later in a very meager form. The best solution would have been to regroup in the Maghrib in order to regain Andalus), or simply that, they had an attachment to the land and didn’t want to leave, even if it meant hardship, slavery or even feigned or real apostasy to Christianity. mushrikeen. However the hadith adds that those Muslims, who fought under the mushrikeen at Badr against the Prophet ( ﺻﻠَّﻰ ﺍﻟﻠﻪ ﻋﻠﻴﻪ ﻭﺳﻠَّﻢ ), and were killed, died in a state where they would be wronging themselves. It is a stark reminder especially to those living in countries ruled by kafirs such as in those of the Americas and Europe. Their armies have come to do nothing short of occupation and the manipulation, if not annihilation, of the Deen of Islam and Muslims. 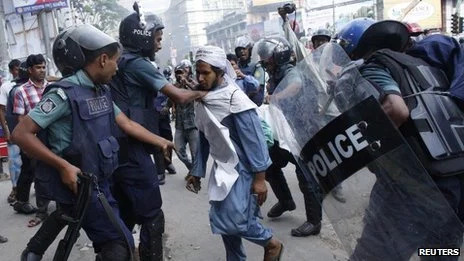 Many Muslims fight in these armies and put themselves at great peril. As for those who still are obstinate and choose to remain in kafir lands when they have the wherewithal to leave, they are at risk of being drafted into the armies of kafir host countries and put their aakhirah [hereafter] in peril. “Who cannot devise a plan, nor are they able to direct their way,” meaning, they do not find the way to emigrate, as Mujahid, ‘Ikrimah and As-Suddi stated. “…will find on earth many dwelling places and plenty to live by” means, Allāh will take him from misguidance to guidance and from poverty to richness. The reward of deeds depends upon the intentions, and every person will be rewarded according to what he has intended. So, whoever emigrated to Allāh and His Messenger, then his emigration is for Allāh and His Messenger. And whoever emigrated for worldly benefits or for a woman to marry, his emigration is for what he emigrated for. 2. And those, even if they were to free themselves, would not know which way to go, or find the way to emigrate. In addition, many Muslims after the Treaty of Garnata, exclaimed that the reason they didn’t want to go to the Maghrib was because life was rough there and there was no living to be made in Andalus, (as an Andalusi Muslim had asked Imam Wanshirisi during the 1500’s). However Allāh ( ﺳﺒﺤﺎﻧﻪ ﻭ ﺗﻌﻠﻰ ) states clearly the muhajir who emigrates fee sabillilah [in the cause of Allāh], “…will find on earth many dwelling places and plenty to live by.” So Allāh ( ﺳﺒﺤﺎﻧﻪ ﻭ ﺗﻌﻠﻰ ), is not saying there is a possibility of sustenance or shelter, rather, He is saying that there will be shelter and sustenance for those who immigrated in His path. Then, verily, your Lord for those who emigrated after they were put to trials and then struggled in His Path, and were patient, – after this, your Lord is indeed Forgiving, Most Merciful. “This refers to another group of people who were oppressed in Makkah and whose position with their own people was weak, so they went along with them when they were tried by them. Then they managed to escape by emigrating, leaving their homeland, families and wealth behind, seeking the pleasure and forgiveness of Allāh. They joined the believers and fought with them against the disbelievers, bearing hardship with patience. “Obviously the Deen of Rasulullah (sallallahu alaihi wasallam),” comes the instant reply. The second question is then posed: “Why then do you call yourself a Hanafi?” The person not well versed is perplexed by this question. Doubts are then created in his mind. He soon starts gradually drifting towards the abandoning of taqleed i.e. following one of the four illustrious Imams viz. 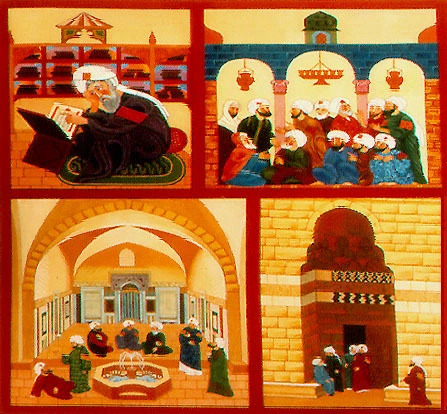 Imam Abu Hanifa (rahmatullah alayh), Imam Shafiee (rahmatullah alayh), Imam Malik (rahmatullah alayh) and Imam Ahmad ibn Hanbal (rahmatullah alayh). By means of the type of questions that have been mentioned above, a deliberate attempt is made to create a misconception in the minds of the unwary — that if you are a Hanafi, you are following the Deen of Imam Abu Hanifa (rahimahullah), NOT the Deen of Muhammad (sallallahu alaihi wasallam). This is an absolute fallacy. Imam Abu Hanifa (rahimahullah), Imam Shafi’i (rahimahullah) and the other Imams did not invent any Deen of their own. They strictly followed the one and only Deen — the Deen of Islam brought by Rasulullah (sallallahu alaihi wasallam). Their followers are hence also following the same Deen — the Deen of Rasulullah (sallallahu alaihi wasallam). The question that arises here is that why then should one follow any of the four Imams?? This can be answered by posing a counter-question: “Do you know all the various laws of Deen?? Are you capable of extracting and deriving the laws pertaining to wudu, salah, zakah, etc. directly from the Qur’an and Hadith?? “Ask those of knowledge if you do not know .” Hence when we do not have the enormous amount of knowledge and expertise that is necessary to derive the laws directly from the Qur’an and Hadith, we have opted to follow one of those great people who had attained that distinguished mastery in this field, among whom is Imam Abu Hanifa (rahmatullah alayh). Imam Abu Hanifa (rahmatullah alayh) is a Tabi’i (one who has seen a Sahabi). He attained the knowledge of Hadith from approximately 4000 teachers. His piety was such that for 40 years he performed fajr salah with the wudu of Isha salah (i.e. he did not sleep the entire night) [Tareekhul Baghdad]. His knowledge, brilliance and righteousness was such that all the great scholars of his time attested to his mastery. Thus one can be well assured that such a person is absolutely capable of deriving the laws directly from the Qur’an and Hadith. Another reason for adopting one of the Imams as a guide is the following aayah of the Qur’an: Allah Ta’ala says: “And follow the path of those who turn to me” (31:15). In order to “turn” to Allah Ta’ala, two aspects are basic requisites — knowledge and practicing according to that knowledge. In this regard the four Imams were in an extremely high category. Imam Abu Hanifa (rahmatullah alayh) was regarded by various Ulama of his time as being the most knowledgeable of the people of that era (footnotes of Tahdheebut Tahdheeb vol. 1 pg. 451). Makki bin Ibrahim , who was one of the renowned teachers of Imam Muhammad ibn Ismail al-Bukhari (rahmatullah alayh) , was a student of Imam Abu Hanifa (rahmatillah alayh). Imam Abu Hanifa (rahmatullah alayh) compiled a book of Hadith entitled “Kitabul Aathaar” from among 40,000 Ahadith. Thus those who follow such a guide can be satisfied that they are strictly following the commands of Allah Ta’ala and His Rasul (sallallahu alaihi wasallam). At this point somebody may ask: “If all the Imams deduced the laws directly from the Qur’an and Hadith, how is it possible for them to differ on various aspects? ?” In order to understand the reality of these differences, we will have to go back in history right upto the time of the Sahaaba (radhiyallahu anhum). While the Sahaaba (radhiyallahu anhum) were still en-route, the time of Asr arrived. Some Sahaaba (radhiyallahu anhum) felt that they should perform their Asr immediately. They regarded the instruction of Rasulullah (sallallahu alaihi wasallam) as actually being a command to proceed very swiftly to their destination. It did not imply that the Asr salah could not be performed en-route. They thus performed their salah there. Thus we find that the difference arose from a point of interpretation. However, this difference of interpretation is only entertained when it comes from a person who has in-depth knowledge of Deen and has attained a mastery in the Qur’an and Hadith and the other related aspects. At times a difference of opinion occurs due to the different narrations that are found with regards to a particular aspect. One Imam gives preference to one narration on the basis of various criteria while the other Imam, in the light of his knowledge, prefers the other narration. This is basically the manner in which these differences occur. However, just as Rasulullah (sallallahu alaihi wasallam) did not rebuke either of the two groups in the incident mentioned above, similarly since the Imams have attained the status of a mujtahid (one who is capable of deriving the laws directly from the Qur’an and Hadith), they will not be blame worthy even if they have erred. “When a haakim (ruler) passes judgement, and after having exerted his utmost effort he arrives at the correct solution, he gets a double reward. And if he errs after having exerted his utmost ability, he gets one reward.” (Bukhari vol. 2 pg. 1092). Ibn al-Munzir (rahmatullah alayh) while commenting on this Hadith writes that a ruler will only get this reward if he has thorough knowledge and in the light of his knowledge he passed judgement. (see footnotes of Sahih Bukhari; ibid). The four Imams had the ability and necessary knowledge to practice ijtihaad. Thus they fall under the ambit of this Hadith. Another point that often comes up is the following: Why is it necessary to follow one Imam only?? Why can one not follow a certain Imam in one aspect and another Imam in another aspect?? The simple answer to this is: On what basis will one pick and choose, especially since one does not have the knowledge required to derive the laws. Thus one will not be in a position to evaluate the deductions of each Imam. Hence it will obviously be on the basis of what suits one. This is nothing but following one’s desires — regarding which Allah Ta’ala has issued severe warnings in the Qur’an. Following one’s desires sometimes even leads a person to kufr. Thus great jurists of latter times, among them Shah Waliullah (rahmatullah alayh), have reaffirmed that it is wajib for the masses to follow one Imam only. “Tell me, why are you called Hanafi and not Muhammedi?? So, are you a Hanafi or a Muhammedi?? Should your question be correct, would you kindly answer the above three questions of mine?? The answer to such questions would just be swearing. Now listen, if someone asks as to why you are referred to as Panjaabi or Laahori and not Pakistani, you would say we are referred to as Pakistanis when compared to those living in countries outside Pakistan and as Panjaabis when compared to those living in Sindh or Baluchistan. In the same way when a non-Muslim asks who you are, you would say youre a Muslim and Muhammedi. This means that the words Muslim and Muhammedi are used when compared to non-Muslims, and Hanafi is used when compared with Shafis, Maalikis, etc. “When that which the Ummati says is contrary to that which the Nabi says, then, only that which the Nabi says would be accepted. When that which the Ummati says does not contradict what theNabi says, but only appears to be contrary, then, you yourself may specify the cure for that. The munkireen-e-Hadith also ask if one should accept that which the Creator says or that which the creation says?? The person answering will definitely say that one should accept that which the Creator says. As soon as he says this, the munkir-e-Hadith will say, Bukhari, Muslim, Abu-Dawud, Tirmizi, ibn-Majah, Nasai are all the works of the slave and the only book of the master is the Qur’aan, one has to accept it only and practice on it, not on the books of the slaves. Moreover, speech that is letters and sounds must have a beginning and therefore be a creation. Why?? Because words and letters have a beginning. So in “bismillaah”, for example “i” comes after “b”, so when you say bismillaah, the sound “i” only becomes existent after “b” ’s non-existence. This means “i” has become existent after non existence, which means that it needs a creator to exist. Nothing can come into existence without a creator, all Muslims must believe that. The saying of Ahlu-s-Sunnah is that the words and letters in the printed copies of the Qur’aan refer to Aļļaah’s eternal Kalaam, and tell us in Arabic what He said eternally without letters, sounds or words. It is therefore correct to say that “ the Qur’aan is not created ,” because the word “Qur’aan” actually refers to what Aļļaah tells us, and His speech is not created. It is not correct, however, to say that the words, letters, and sounds associated with the book are not created, because words and letters need a creator, and because the Arabic language, the language of the book, is a creation. An example to clarify is that the word “Aļļaah” refers to Aļļaah. We do not worship these letters, or the sounds of uttering this word. Rather, we worship the one they refer to. In the same sense, the words, letters and Arabic in the book are not themselves Aļļaah’s attribute of Speech, but refer to that attribute; they tell us what Aļļaah said with His eternal Speech. Now, if someone came and said, “This is not Obama’s Speech! This is just paper and ink!” Would you consider this person sensible? Of course you would not. Why? Let us first look at the concept of speech and the meanings of the word “speech” in this example. .” The same was narrated by Adħ-Dħahabiyy [rahimahullah]  . For those who do not know who Wakiiˆ is, it was stated by Adħ-Dħahabiyy [rahimahullah] in Siyar ‘Aˆlaam An-Nubalaa’: “The Imaam, the Ĥaafiţħ, the Muĥadditħ of ˆIraaq, …. He was born in 129 after the Hijrah (9/140-141).” He said that Aĥmad ibn Ĥanbal [rahimahullah] used to glorify Wakiiˆ and say about him, “I have never met anyone more aware in his knowledge than Wakiiˆ, or anyone that has memorized more  (9/144).” In short, Wakiiˆ is one of the greatest ĥadiitħ masters in history and here we find him making takfiir for those who say that the the Qur’aan (i.e. the eternal attribute of Aļļaah that the book refers to) is an event, but not created. Asħ-Sħawkaaniyy affirms that the Salaf made takfiir for the one who says “the Qur’aan is an event.” He says in his book Fatĥu-l-Qadiir, under the explanation for Al-‘Anbiyaa’, 2: “The imaams of the Sunnis were right in their forbiddance in answering the call to the saying ‘the Qur’aan is created’ or ‘emergent’.” Notice how he does not see a difference between created and emergent, then he said, “Aļļaah protected the nation of His prophet’s followers from a bad innovation through them. They went beyond that, however, and said that the Qur’aan is eternal and did not stop at that, but said that the one who says it is emergent is a kaafir  …. ” This means that the Ĥuruufiyyah are kuffaar in the eyes of the Salaf. Isĥaaq ibn Raawayh was asked about this Aayah, he said: “Eternally of Aļļaah, new to Earth.” Al-ˆAsqalaaniyy commented: “this is the precedent of what Al-Bukħaariyy said  .” This must clearly be the case, lest Al-Bukħaariyy [rahimahullah] be a non-Muslim deviant in the view of the likes of Wakiiˆ and Aĥmad, as discussed above. Abuu Ĥaniifah [rahmatullah alayh], who is definitely among the Salaf, explains that the meaning of “the Qur’aan is not created” is that Aļļaah’s eternal attribute of speech is not created. “The Qur’aan is the Speech of Aļļaah (Taˆaalaa), written on pages (muşĥafs), preserved in hearts, recited on tongues, and revealed to the Prophet r. Our utterance of the Qur’aan is created, and our recitation of the Qur’aan is created, but the Qur’aan is not created  .”  . “Aļļaah speaks, but not like our speech; we speak by means of instruments (vocal cords, limbs, etc.) and letters, but Aļļaah speaks without instruments or letters. Letters are a creation, and Aļļaah’s Speech is not created .”  . As for when some of the later Asħˆariyys spoke of the permissibility of saying “the Qur’aan is created,” they were referring to the Arabic expression, not Aļļaah’s Speech. They said that this statement may be used in a classroom setting. The reason is because over time the word Qur’aan is mainly understood as referring to the expression of Aļļaah’s eternal Speech in Arabic words and letters. They were afraid that some people would understand from the expression, “the Qur’aan is not created,” that the Arabic expression is not created, which is far more dangerous than saying “the Qur’aan is created,” if one means the Arabic expression (not Aļļaah’s eternal attribute of Speech). After all, the latter meaning is sound, because Arabic expressions have a beginning and cannot be eternal, and if they are not eternal, then they must have been specified and brought into existence by Aļļaah. In other words, they must have been created. The only bad side of this would be that this expression is a bidˆah in religion, so they restricted it to a classroom purposes, because this is where the setting of religious necessity applies. That is, the necessity of preventing the kufr belief that Aļļaah speaks in letters and sounds, which is far more important than avoiding a dubious innovation. The answer is therefore that Aļļaah said alif-laam-miim, without His speech being words, letters or language. The letters in the muşĥaf tell us what He said eternally. The expression “alif-laam-miim” is not different than other words or letters in the muşĥaf in this regard. They are letters that refer to the meaning of what Aļļaah said eternally without letters of sounds. It is obvious that the letter Alif is created, because it is an alphabetic symbol referring to the sound “LLL…” All alphabetic letters are written symbols that refer to sounds that we make with our voices. The ĥadiitħ qudsiyy is the Prophet’s [sallallaahu alaihi wasallam] words, but he says “Aļļaah says…” Moreover, the ĥadiitħ qudsiyy has no challenge of inimitable eloquence. The prophet [sallallaahu alaihi wasallam] spoke in his own words in ĥadiitħs. All of these texts are holy, because they are all revealed from Aļļaah. All of them are rewardable in reciting and studying with the correct intention. This is because Aļļaah has willed it to be so. We get credit and blessings for what Aļļaah has willed for us to get it for. No act or thing causes one to gain credit, except by the will of Aļļaah. Since the Qur’aan consists of revealed words, they cannot be changed, or altered. This is to preserve the revelation, and the inimitability of the book, which is a miracle and a lasting proof of the prophethood of Aļļaah’s messenger. The eloquence of the Qur’aan is inimitable because Aļļaah has willed it. No one can do against His will, not in this, and not in anything else. Al-Aamidiyy  states in ‘Abkaar Al-‘Afkaar: “I do not know of any disagreement among those who say that Aļļaah is attributed with Kalaam/ Speech, that lies are impossible in His Speech, whether it be the eternal attribute of His Self (as the Sunnis say), or the one (as the Muˆtazilah and Anthropomorphists believe) that is sounds and letters SayfudDiin Al-Aamidiy, Abkaar Al-Afkaar , 2nd ed. (Kairo, Egypt: Maţbaˆah Daar Al-Kutub Wa-l-Watħaa’iq Al-Qawmiyyah, 1423), 2/83..
As-Sanuusiyy in his book ˆUmdatu ‘Ahli-t-Tawfiiq says, “Are miracles as proof of the truthfulness of the Messengers of Aļļaah proofs in the mind’s eye, or by convention, or by normal necessity according to the relevant indications ? There are different sayings. According to the first two (the mind’s eye and convention), it is impossible for a liar to have a miracle, because for the first it would lead to contradicting the sound mind, and for the second it would lead to saying that there is a flaw in what Aļļaah has informed, jalla wa ˆalaa, because to affirm the truthfulness of a lie is to lie, and it is impossible that Aļļaah should lie, since His Speech agrees with His Knowledge….” “Moreover, if He was attributed with lying, and His attributes are all eternal, then it would be impossible for Him to be attributed with being truthful (in His Speech,) while it is correct that He is attributed with it, since He must be attributed with Knowledge. The third perspective mentioned by As-Sanuusiyy states that miracles are proof of truthfulness according to what is normally necessarily true, i.e. that it would be normally impossible for someone with a miracle to tell a lie. This is because the rule throughout history is that someone with a miracle, with all of its requisite conditions intact, never happened to a liar. 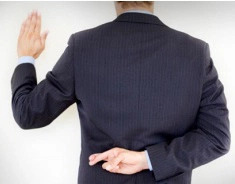 Regarding this As-Sanuusiyy states, “and our saying that lying is possible in the mind’s eye alone, for someone telling the truth, does not put a doubt in his truthfulness once we are sure he is telling the truth. This is because the possibility in the mind’s eye only means that if it happened instead of being truthful, then that would not lead to an impossibility in the mind’s eye. It does not mean that it is possible that Aļļaah could lie. ” In other words, it is not impossible in the mind’s eye, because it does not lead to saying that Aļļaah could lie, as As-Sanuusiyy showed with proofs and refuted any objections prior. Then he goes on to explain the third perspective on the proof of truthfulness in miracles, “It happens a lot that we know something to be absolutely and necessarily true, even though we say that its opposite is possible in the mind’s eye, such as our knowledge of our own existence. No sound minded person doubts it, even though we say that if we had continued to not exist at all, then this would not have been impossible in the mind’s eye. It (the possibility of our non-existence in the mind’s eye) does not mean that we could be non-existent while being existent. ” More specifically, “The sign of the truthfulness of the Prophet (şalla-ļļaahu ˆalayhi wa sallam) is the occurrence of certain knowledge in us due to miracles, so once this certitude occurs, there is no possibility of lying any longer. ﻣﻌﺠﻢ ﻣﻘﺎﻳﻴﺲ ﺍﻟﻠﻐﺔ ﻻﺑﻦ ﻓﺎﺭﺱ – ‏( 2 / 213 ‏) : ‏( ﺧﻠﻖ ‏) ﺍﻟﺨﺎﺀ ﻭﺍﻟﻼﻡ ﻭﺍﻟﻘﺎﻑ ﺃﺻﻼﻥ : ﺃﺣﺪﻫﻤﺎ ﺗﻘﺪﻳﺮ ﺍﻟﺸﻲﺀ، ﻭﺍﻵﺧﺮ ﻣَﻼﺳَﺔ ﺍﻟﺸﻲﺀ . Maqaayiisu-l-Lugħah (Beirut, Lebanon: Dar Al-Fikr), 2/213. ﻟﺴﺎﻥ ﺍﻟﻌﺮﺏ – ‏( 10 / 85 ‏) : ﻭﻋﻦ ﺍﻷَﺯﻫﺮﻱ ﻭﻣﻦ ﺻﻔﺎﺕ ﺍﻟﻠﻪ ﺗﻌﺎﻟﻰ ﺍﻟﺨﺎﻟﻖ ﻭﺍﻟﺨﻼَّﻕ ﻭﻻ ﺗﺠﻮﺯ ﻫﺬﻩ ﺍﻟﺼﻔﺔ ﺑﺎﻷَﻟﻒ ﻭﺍﻟﻼﻡ ﻟﻐﻴﺮ ﺍﻟﻠﻪ ﻋﺰ ﻭﺟﻞ ﻭﻫﻮ ﺍﻟﺬﻱ ﺃَﻭﺟﺪ ﺍﻷَﺷﻴﺎﺀ ﺟﻤﻴﻌﻬﺎ ﺑﻌﺪ ﺃَﻥ ﻟﻢ ﺗﻜﻦ ﻣﻮﺟﻮﺩﺓ ﻭﺃَﺻﻞ ﺍﻟﺨﻠﻖ ﺍﻟﺘﻘﺪﻳﺮ ﻓﻬﻮ ﺑﺎﻋْﺘﺒﺎﺭ ﺗﻘﺪﻳﺮ ﻣﺎ ﻣﻨﻪ ﻭﺟُﻮﺩُﻫﺎ ﻭﺑﺎﻻﻋﺘﺒﺎﺭ ﻟﻺِﻳﺠﺎﺩِ ﻋﻠﻰ ﻭَﻓْﻖِ ﺍﻟﺘﻘﺪﻳﺮ . ﺗﺎﺝ ﺍﻟﻌﺮﻭﺱ ﻣﻦ ﺟﻮﺍﻫﺮ ﺍﻟﻘﺎﻣﻮﺱ – ‏( 25 / 251 ‏) : ﻭﻗﺎﻝَ ﺍﻷﺯْﻫَﺮِﻱ : ﻫﻮ ﺍﻟّﺬِﻱ ﺃﻭْﺟَﺪَ ﺍﻷﺷْﻴﺎﺀَ ﺟَﻤِﻴﻌَﻬﺎ ﺑﻌﺪَ ﺃَﻥْ ﻟَﻢْ ﺗَﻜُﻦْ ﻣَﻮْﺟُﻮﺩَﺓً ، ﻭﺃﺻْﻞُ ﺍﻟﺨَﻠْﻖِ : ﺍﻟﺘَّﻘْﺪِﻳﺮ ، ﻓﻬُﻮَ ﺑﺎﻋْﺘِﺒﺎﺭ ﻣﺎ ﻣِﻨْﻪُ ﻭﺟﻮﺩُﻫﺎ ﻣُﻘَﺪِّﺭٌ ، ﻭﺑﺎﻻﻋْﺘِﺒﺎﺭِ ﻟﻺِﻳﺠﺎﺩِ ﻋﻠﻰ ﻭَﻓْﻖِ ﺍﻟﺘﻘْﺪِﻳﺮِ ﺧﺎﻟِﻖٌ . Abu Bakr Al-Bayhqiyy (458 AH), Al-Asmaa’ Wa-ş-Şifaat li-l-Bayhaqiyy , 1st ed. (Jedda, Saudi Arabia: Maktabah Al-Sawaadiyy), 1/608-609. ﺳﻴﺮ ﺃﻋﻼﻡ ﺍﻟﻨﺒﻼﺀ – ‏( ﺝ 9 / ﺹ 166 ‏) : ﻗﺎﻝ ﺃﺑﻮ ﻫﺸﺎﻡ ﺍﻟﺮﻓﺎﻋﻲ : ﺳﻤﻌﺖ ﻭﻛﻴﻌﺎ ﻳﻘﻮﻝ : ﻣﻦ ﺯﻋﻢ ﺃﻥ ﺍﻟﻘﺮﺁﻥ ﻣﺨﻠﻮﻕ، ﻓﻘﺪ ﺯﻋﻢ ﺃﻧﻪ ﻣﺤﺪﺙ، ﻭﻣﻦ ﺯﻋﻢ ﺃﻥ ﺍﻟﻘﺮﺁﻥ ﻣﺤﺪﺙ، ﻓﻘﺪ ﻛﻔﺮ . ﺳﻴﺮ ﺃﻋﻼﻡ ﺍﻟﻨﺒﻼﺀ – ‏( 11 / 288 ‏) : ﻭﻗﺎﻝ ﺃﺑﻮ ﺇﺳﻤﺎﻋﻴﻞ ﺍﻟﺘﺮﻣﺬﻱ : ﺳﻤﻌﺖ ﺃﺣﻤﺪ ﺑﻦ ﺣﻨﺒﻞ، ﻳﻘﻮﻝ : ﻣﻦ ﻗﺎﻝ : ﺍﻟﻘﺮﺁﻥ ﻣﺤﺪﺙ، ﻓﻬﻮ ﻛﺎﻓﺮ . ﺍﻟﺘﺒﺼﻴﺮ ﻓﻲ ﻣﻌﺎﻟﻢ ﺍﻟﺪﻳﻦ – ‏( ﺹ ٢٠٢ ‏) : ﻣﻦ ﺃﺑﻰ ﻣﺎ ﻗﻠﻨﺎ ﻓﻲ ﺫﻟﻚ ﻗﻴﻞ ﻟﻪ : ﺃﺧﺒﺮﻧﺎ ﻋﻦ ﺍﻟﻜﻼﻡ ﺍﻟﺬﻱ ﻭﺻﻔﺖ ﺃﻥ ﺍﻟﻘﺪﻳﻢ ﺑﻪ ﻣﺘﻜﻠﻢ ﻣﺨﻠﻮﻕ، ﺃﺧﻠﻘﻪ – ﺇﺫ ﻛﺎﻥ ﻋﻨﺪﻙ ﻣﺨﻠﻮﻗﺎ ﻓﻲ ﺫﺍﺗﻪ، ﺃﻡ ﻓﻲ ﻏﻴﺮﻩ، ﺃﻡ ﻗﺎﺋﻢ ﺑﻨﻔﺴﻪ؟ ﻓﺈﻥ ﺯﻋﻢ ﺧﻠﻘﻪ ﻓﻲ ﺫﺍﺗﻪ، ﻓﻘﺪ ﺃﻭﺟﺐ ﺃﻥ ﺗﻜﻮﻥ ﺫﺍﺗﻪ ﻣﺤﻼ ﻟﻠﺨﻠﻖ، ﻭﺫﻟﻚ ﻋﻨﺪ ﺍﻟﺠﻤﻴﻊ ﻛﻔﺮ . ﺍﻟﻔﻘﻪ ﺍﻷﻛﺒﺮ ‏( ﺹ . 5 ‏) : ﻭﺍﻟﻘﺮﺁﻥ ﻛﻼﻡ ﺍﻟﻠﻪ ﺗﻌﺎﻟﻰ ﻓﻲ ﺍﻟﻤﺼﺎﺣﻒ ﻣﻜﺘﻮﺏ , ﻭﻓﻲ ﺍﻟﻘﻠﻮﺏ ﻣﺤﻔﻮﻅ ﻭﻋﻠﻰ ﺍﻷﻟﺴﻦ ﻣﻘﺮﻭﺀ , ﻭﻋﻠﻰ ﺍﻟﻨﺒﻲ ﻋﻠﻴﻪ ﺍﻟﺼﻼﺓ ﻭﺍﻟﺴﻼﻡ ﻣﻨﺰّﻝ , ﻭﻟﻔﻈﻨﺎ ﺑﺎﻟﻘﺮﺁﻥ ﻣﺨﻠﻮﻕ ﻭﻛﺘﺎﺑﺘﻨﺎ ﻟﻪ ﻣﺨﻠﻮﻗﺔ ﻭﻗﺮﺍﺋﺘﻨﺎ ﻟﻪ ﻣﺨﻠﻮﻗﺔ ﻭﺍﻟﻘﺮﺁﻥ ﻏﻴﺮ ﻣﺨﻠﻮﻕ . Abuu Ĥaniifah (80-150 AH/ 699-767), Al-Fiqh Al-Akbar , vol. 1 (Ĥaydar Aabaad, India: Majlis Daa’iratu-l-Maˆaarifi-n-Niţħaamiyyah, 1342), 5. ﺍﻟﻔﻘﻪ ﺍﻷﻛﺒﺮ ‏( ﺹ . 6 ‏) : ﻭﻳﺘﻜﻠﻢ ﻻ ﻛﻜﻼﻣﻨﺎ ﻭﻧﺤﻦ ﻧﺘﻜﻠﻢ ﺑﺎﻵﻻﺕ ﻭﺍﻟﺤﺮﻭﻑ ﻭﺍﻟﻠﻪ ﺗﻌﺎﻟﻰ ﻳﺘﻜﻠﻢ ﺑﻼ ﺁﻟﺔ ﻭﻻﺣﺮﻭﻑ . ﻭﺍﻟﺤﺮﻭﻑ ﻣﺨﻠﻮﻗﺔ ﻭﻛﻼﻡ ﺍﻟﻠﻪ ﺗﻌﺎﻟﻰ ﻏﻴﺮ ﻣﺨﻠﻮﻕ . ﺣﺎﺷﻴﺔ ﺭﺩ ﺍﻟﻤﺤﺘﺎﺭ – ‏( 4 / 14 ‏) : ﻭﺣﺎﺻﻠﻪ ﺃﻥ ﻏﻴﺮ ﺍﻟﻤﺨﻠﻮﻕ ﻫﻮ ﺍﻟﻘﺮﺁﻥ ﺑﻤﻌﻨﻰ ﻛﻼﻡ ﺍﻟﻠﻪ ﺍﻟﺼﻔﺔ ﺍﻟﻨﻔﺴﻴﺔ ﺍﻟﻘﺎﺋﻤﺔ ﺑﻪ ﺗﻌﺎﻟﻰ ﻻ ﺑﻤﻌﻨﻰ ﺍﻟﺤﺮﻭﻑ ﺍﻟﻤﻨﺰﻟﺔ، ﻏﻴﺮ ﺃﻧﻪ ﻻ ﻳﻘﺎﻝ ﺍﻟﻘﺮﺁﻥ ﻣﺨﻠﻮﻕ ﻟﺌﻼ ﻳﺘﻮﻫﻢ ﺃﺭﺍﺩﺓ ﺍﻟﻤﻌﻨﻰ ﺍﻻﻭﻝ . FakħrudDiin Al-Raaziy, Mafaatiiĥ Al-Għayb , 1st ed. (Beirut, Lebanon: Dar Al-Kotob Al-ilmiyah, 1421), V. 16/ P. 24. ﺯﺍﺩ ﺍﻟﻤﺴﻴﺮ – ‏( 1 / 22 ‏) : ﻭﻗﺪ ﺧﺺ ﺍﻟﻤﻔﺴﺮﻭﻥ ﻗﻮﻟﻪ ﺁﻟﻢ ﺑﺨﻤﺴﺔ ﺃﻗﻮﺍﻝ ﺃﺣﺪﻫﺎ ﺃﻧﻪ ﻣﻦ ﺍﻟﻤﺘﺸﺎﺑﻪ ﺍﻟﺬﻱ ﻻ ﻳﻌﻠﻢ ﻣﻌﻨﺎﻩ ﺍﻻ ﺍﻟﻠﻪ ﻋﺰ ﻭ ﺟﻞ ﻭﻗﺪ ﺳﺒﻖ ﺑﻴﺎﻧﻪ ﻭﺍﻟﺜﺎﻧﻲ ﺍﻥ ﻣﻌﻨﺎﻩ ﺃﻧﺎ ﺍﻟﻠﻪ ﺃﻋﻠﻢ ﺭﻭﺍﻩ ﺃﺑﻮ ﺍﻟﻀﺤﻰ ﻋﻦ ﺍﺑﻦ ﻋﺒﺎﺱ ﻭﺑﻪ ﻗﺎﻝ ﺍﺑﻦ ﻣﺴﻌﻮﺩ ﻭﺳﻌﻴﺪ ﺑﻦ ﺟﺒﻴﺮ ﻭﺍﻟﺜﺎﻟﺚ ﺃﻧﻪ ﻗﺴﻢ ﺭﻭﺍﻩ ﺃﺑﻮ ﺻﺎﻟﺢ ﻋﻦ ﺍﺑﻦ ﻋﺒﺎﺱ ﻭﺧﺎﻟﺪ ﺍﻟﺤﺬﺍﺀ ﻋﻦ ﻋﻜﺮﻣﺔ ﻭﺍﻟﺮﺍﺑﻊ ﺃﻧﻬﺎ ﺣﺮﻭﻑ ﻣﻦ ﺃﺳﻤﺎﺀ ﺛﻢ ﻓﻴﻬﺎ ﻗﻮﻻﻥ ﺃﺣﺪﻫﻤﺎ ﺃﻥ ﺍﻷﻟﻒ ﻣﻦ ﺍﻟﻠﻪ ﻭﺍﻟﻼﻡ ﻣﻦ ﺟﺒﺮﻳﻞ ﻭﺍﻟﻤﻴﻢ ﻣﻦ ﻣﺤﻤﺪ ﻗﺎﻟﻪ ﺍﺑﻦ ﻋﺒﺎﺱ ﻓﺎﻥ ﻗﻴﻞ ﺇﺫﺍ ﻛﺎﻥ ﻗﺪ ﺗﻨﻮﻭﻝ ﻣﻦ ﻛﻞ ﺍﺳﻢ ﺣﺮﻓﻪ ﺍﻷﻭﻝ ﺍﻛﺘﻔﺎﺀ ﺑﻪ ﻓﻠﻢ ﺃﺧﺬﺕ ﺍﻟﻼﻡ ﻣﻦ ﺟﺒﺮﻳﻞ ﻭﻫﻲ ﺃﺧﺮ ﺍﻹﺳﻢ ﻓﺎﻟﺠﻮﺍﺏ ﺃﻥ ﻣﺒﺘﺪﺃ ﺍﻟﻘﺮﺁﻥ ﻣﻦ ﺍﻟﻠﻪ ﺗﻌﺎﻟﻰ ﻓﺪﻝ ﻋﻠﻰ ﺫﻟﻚ ﺑﺎﺑﺘﺪﺍﺀ ﺃﻭﻝ ﺣﺮﻑ ﻣﻦ ﺍﺳﻤﻪ ﻭﺟﺒﺮﻳﻞ ﺍﻧﺨﺘﻢ ﺑﻪ ﺍﻟﺘﻨﺰﻳﻞ ﻭﺍﻹﻗﺮﺃﺀ ﻓﺘﻨﻮﻭﻝ ﻣﻦ ﺍﺳﻤﻪ ﻧﻬﺎﻳﺔ ﺣﺮﻭﻓﻪ ﻭ ﻣﺤﻤﺪ ﻣﺒﺘﺪﺃ ﻓﻲ ﺍﻹﻗﺮﺃﺀ ﻓﺘﻨﻮﻭﻝ ﺃﻭﻝ ﺣﺮﻑ ﻓﻴﻪ ﻭﺍﻟﻘﻮﻝ ﺍﻟﺜﺎﻧﻲ ﺃﻥ ﺍﻷﻟﻒ ﻣﻦ ﺍﻟﻠﻪ ﺗﻌﺎﻟﻰ ﻭﺍﻟﻼﻡ ﻣﻦ ﻟﻄﻴﻒ ﻭﺍﻟﻤﻴﻢ ﻣﻦ ﻣﺠﻴﺪ ﻗﺎﻟﻪ ﺃﺑﻮ ﺍﻟﻌﺎﻟﻴﺔ ﻭﺍﻟﺨﺎﻣﺲ ﺃﻧﻪ ﺍﺳﻢ ﻣﻦ ﺃﺳﻤﺎﺀ ﺍﻟﻘﺮﺁﻥ ﻗﺎﻟﻪ ﻣﺠﺎﻫﺪ ﻭﺍﻟﺸﻌﺒﻲ ﻭﻗﺘﺎﺩﺓ ﻭﺍﺑﻦ ﺟﺮﻳﺞ . Abu-l-Faraj Ibn Al-Jawziyy (508-597 AH/ 1114-1201 AD), Zaadu-l-Masiir , 3rd ed. (Beirut, Lebanon: Al-Maktab Al-Islamiyy, 1404), 1/22. ﺍﻷﻋﻼﻡ ﻟﻠﺰﺭﻛﻠﻲ – ‏( 4 / 332 ‏) ﺳﻴﻒ ﺍﻟﺪﻳﻦ ﺍﻵﻣﺪﻱ ‏( 551 – 631 ﻫـ = 1156 – 1233 ﻡ ‏) ﻋﻠﻲ ﺑﻦ ﻣﺤﻤﺪ ﺑﻦ ﺳﺎﻟﻢ ﺍﻟﺘﻐﻠﺒﻲ، ﺃﺑﻮ ﺍﻟﺤﺴﻦ، ﺳﻴﻒ ﺍﻟﺪﻳﻦ ﺍﻵﻣﺪﻱ : ﺃﺻﻮﻟﻲ، ﺑﺎﺣﺚ . ﺃﺻﻠﻪ ﻣﻦ ﺁﻣﺪ ‏( ﺩﻳﺎﺭ ﺑﻜﺮ ‏) ﻭﻟﺪ ﺑﻬﺎ، ﻭﺗﻌﻠﻢ ﻓﻲ ﺑﻐﺪﺍﺩ ﻭﺍﻟﺸﺎﻡ . ﻭﺍﻧﺘﻘﻞ ﺇﻟﻰ ﺍﻟﻘﺎﻫﺮﺓ، ﻓﺪﺭﺱ ﻓﻴﻬﺎ ﻭﺍﺷﺘﻬﺮ . ﻭﺣﺴﺪﻩ ﺑﻌﺾ ﺍﻟﻔﻘﻬﺎﺀ ﻓﺘﻌﺼﺒﻮﺍ ﻓﻴﻬﺎ ﻭﺍﺷﺘﻬﺮ . ﻭﺣﺴﺪﻩ ﻳﺒﻌﺾ ﺍﻟﻔﻘﻬﺎﺀ ﻓﺘﻌﺼﺒﻮﺍ ﻋﻠﻴﻪ ﻭﻧﺴﺒﻮﻩ ﺇﻟﻰ ﻓﺴﺎﺩ ﺍﻟﻘﻌﻴﺪﺓ ﻭﺍﻟﺘﻌﻄﻴﻞ ﻭﻣﺬﻫﺐ ﺍﻟﻔﻼﺳﻔﺔ، ﻓﺨﺮﺝ ﻣﺴﺘﺨﻔﻴﺎ ﺇﻟﻰ ” ﺣﻤﺎﺓ ” ﻭﻣﻨﻬﺎ ﺇﻟﻰ ” ﺩﻣﺸﻖ ” ﻓﺘﻮﻓﻲ ﺑﻬﺎ . ﻟﻪ ﻧﺤﻮ ﻋﺸﺮﻳﻦ ﻣﺼﻨﻔﺎ، ﻣﻨﻬﺎ ” ﺍﻻﺣﻜﺎﻡ ﻓﻲ ﺃﺻﻮﻝ ﺍﻻﺣﻜﺎﻡ – ﻁ ” ﺃﺭﺑﻌﺔ ﺃﺟﺰﺍﺀ، ﻭﻣﺨﺘﺼﺮﻩ ” ﻣﻨﺘﻬﻰ ﺍﻟﺴﻮﻝ – ﻁ ” ﻭ ” ﺃﺑﻜﺎﺭ ﺍﻻﻓﻜﺎﺭ – ﺥ ” ﻓﻲ ﻃﻮﺑﻘﺒﻮ، ﺍﻻﻭﻝ ﻭﺍﻟﺜﺎﻧﻲ ﻣﻨﻪ، ﻓﻲ ﻋﻠﻢ ﺍﻟﻜﻼﻡ، ﻭ ” ﻟﺒﺎﺏ ﺍﻻﻟﺒﺎﺏ ” ﻭ ” ﺩﻗﺎﺋﻖ ﺍﻟﺤﻘﺎﺋﻖ ” ﻭ ” ﺍﻟﻤﺒﻴﻦ ﻓﻲ ﺷﺮﺡ ﺍﻷﻋﻼﻡ ﻟﻠﺰﺭﻛﻠﻲ – ‏( 4 / 332 ‏) ﻣﻌﺎﻧﻲ ﺍﻟﺤﻜﻤﺎﺀ ﻭﺍﻟﻤﺘﻜﻠﻤﻴﻦ – ﺥ ” ﻛﺮﺍﺳﺘﺎﻥ، ﻓﻲ ﺍﻟﻤﻜﺘﺒﺔ ﺍﻟﻌﺮﺑﻴﺔ ﺑﺪﻣﺸﻖ ‏( 1 ). 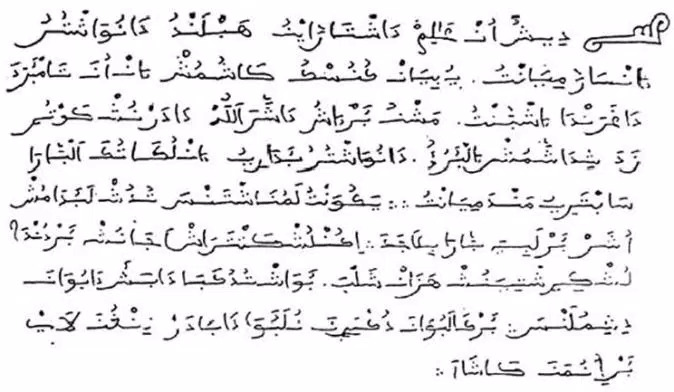 Muĥammad ibn Yuusuf As-Sanuusiyy (896 AH), Sħarĥu-l-Muqaddimaat , 1st ed. (Maktabatu-l-Maˆaarif, 1420), 245. ﻧﻬﺎﻳﺔ ﺍﻹﻗﺪﺍﻡ ﻓﻲ ﻋﻠﻢ ﺍﻟﻜﻼﻡ – ‏( ﺝ 1 / ﺹ 236 ‏) : ﻓﺈﺫﺍً ﺍﻟﻤﺮﺟﺢ ﻟﻠﺼﺪﻕ ﻫﻲ ﺍﻟﻘﺮﺍﺋﻦ ﺍﻟﺤﺎﺻﻠﺔ ﻣﻦ ﺍﺟﺘﻤﺎﻉ ﺃﻣﻮﺭ ﻛﺜﻴﺮﺓ ﻣﻨﻬﺎ ﺍﻟﺨﺎﺭﻕ ﻟﻠﻌﺎﺩﺓ ﻭﻣﻨﻬﺎ ﻛﻮﻧﻪ ﻣﻘﺮﻭﻧﺎً ﺑﺎﻟﺪﻋﻮﻯ ﻭﻣﻨﻬﺎ ﺳﻼﻣﺘﻪ ﻋﻦ ﺍﻟﻤﻌﺎﺭﺿﺔ ﻓﺎﻧﺘﻬﻀﺖ ﻫﺬﻩ ﺍﻟﻘﺮﺍﺋﻦ ﺑﻤﺠﻤﻮﻋﻬﺎ ﺩﺍﻟﺔ ﻋﻠﻰ ﺻﺪﻕ ﺍﻟﻤﺪﻋﻲ ﻧﺎﺯﻟﺔ ﻣﻨﺰﻟﺔ ﺍﻟﺘﺼﺪﻳﻖ ﺑﺎﻟﻘﻮﻝ ﻭﺫﻟﻚ ﻣﺜﻞ ﺍﻟﻌﻠﻢ ﺍﻟﺤﺎﺻﻞ ﻣﻦ ﺳﺎﺋﺮ ﺍﻟﻘﺮﺍﺋﻦ ﺃﻋﻨﻲ ﻗﺮﺍﺋﻦ ﺍﻟﺤﺎﻝ ﻭﻗﺮﺍﺋﻦ ﺍﻟﻤﻘﺎﻝ .